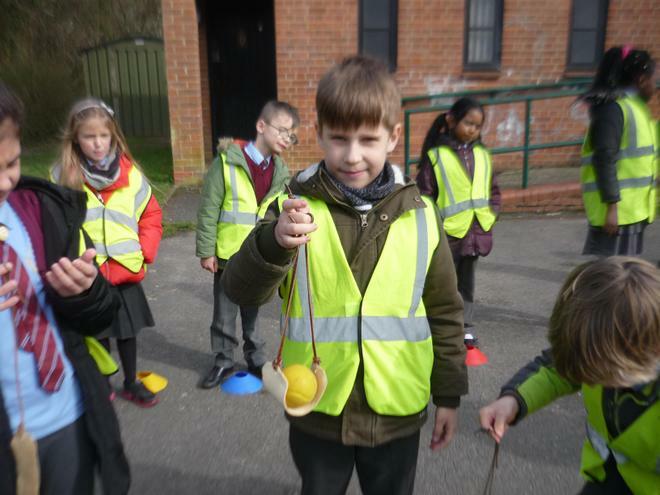 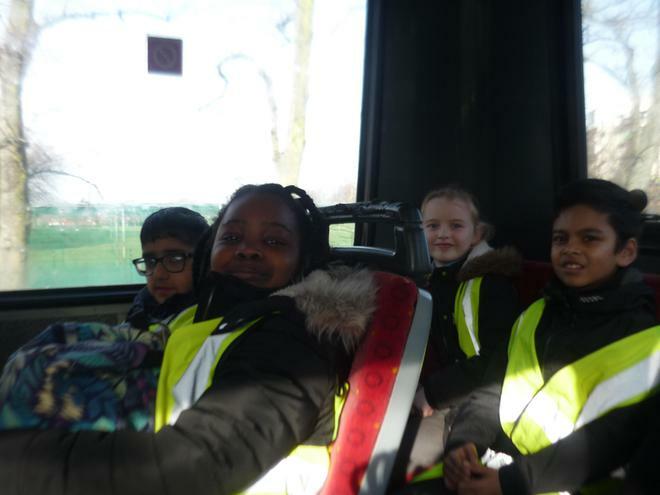 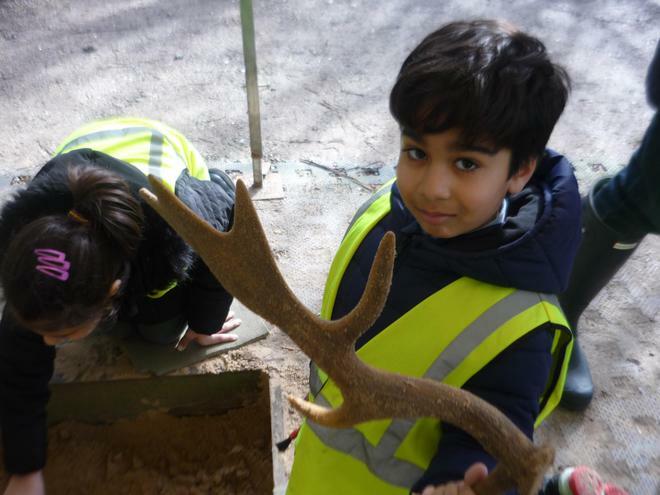 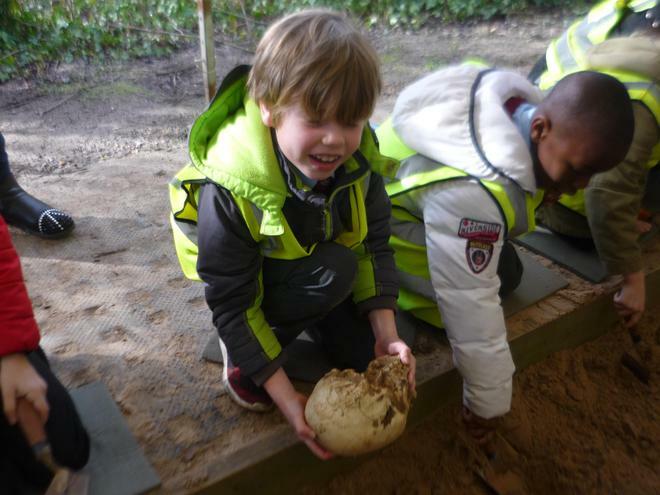 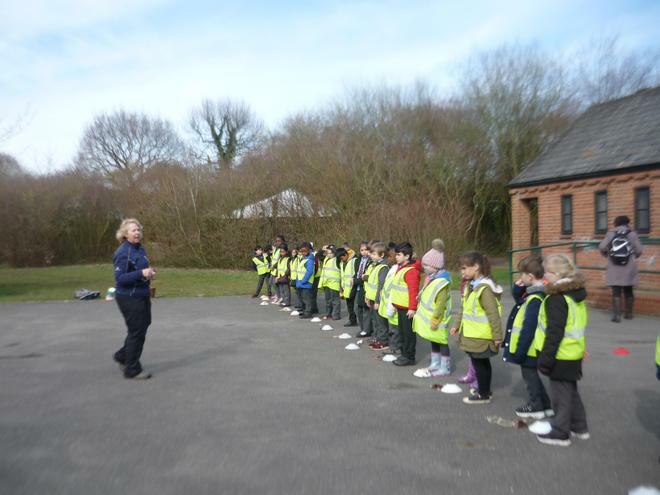 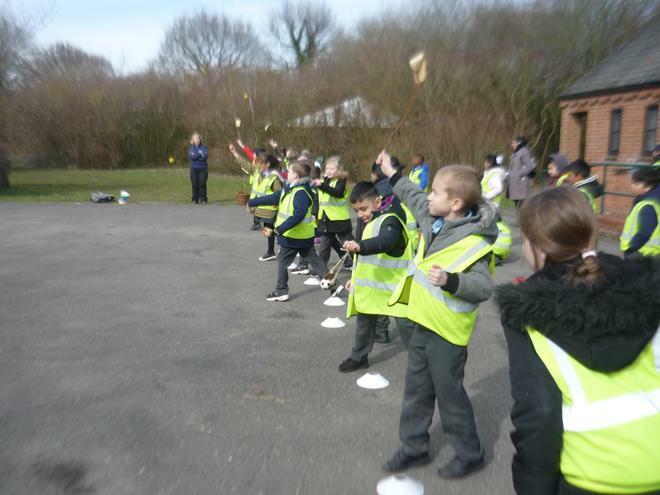 In History we have been learning about the Stone Age and Iron Age, and this half term we were lucky enough to go on a trip to Hadleigh Country Park. 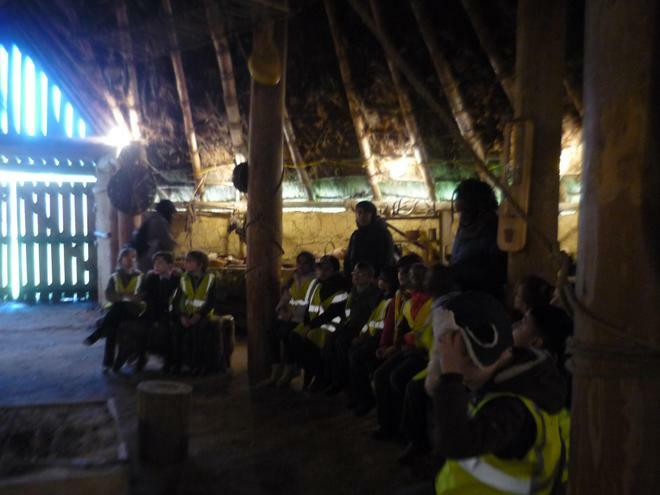 Here we got to learn more about life in the Stone Age and Iron Age. 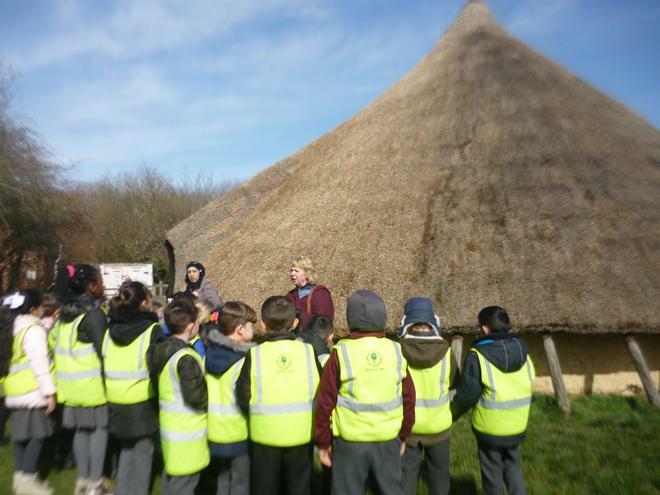 We saw an area called the Roundhouse, which is where people in the Iron Age (Celts) lived. 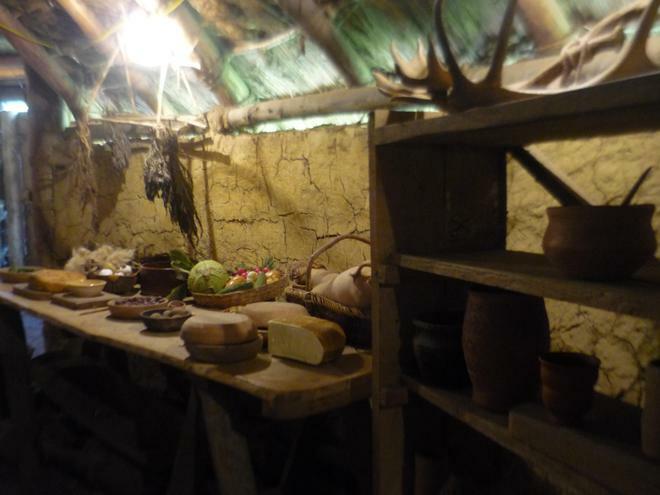 Their houses were so different from ours - they didn't even have bathrooms! 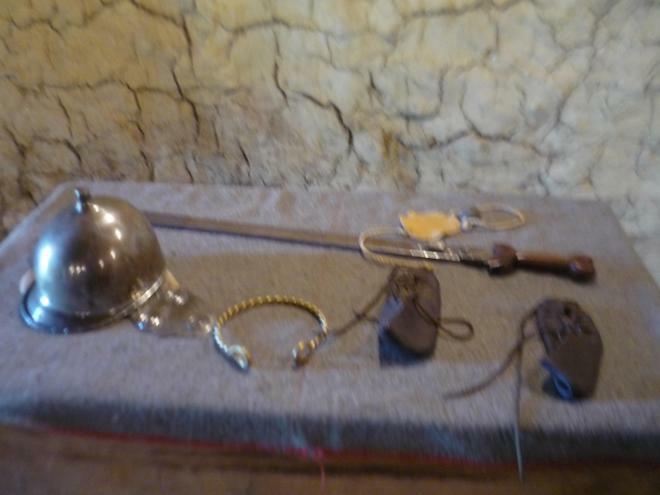 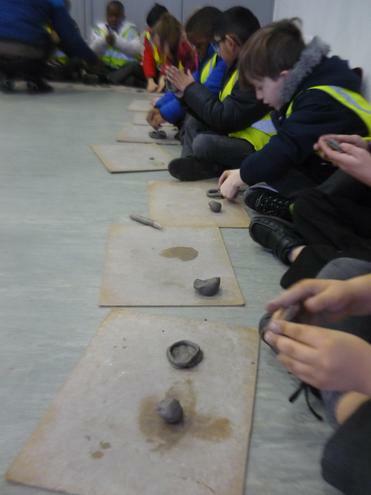 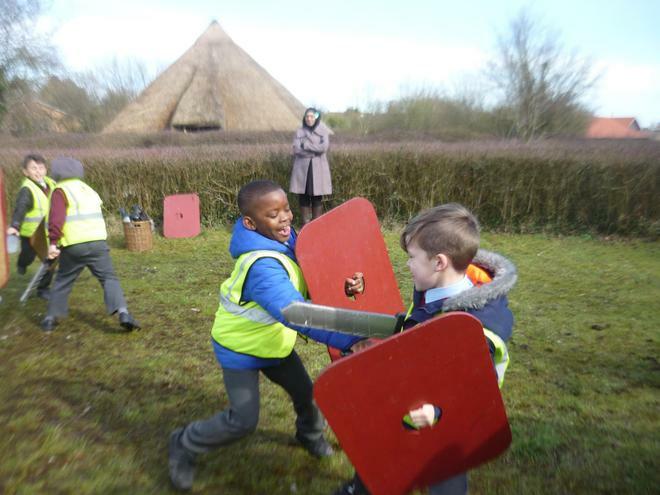 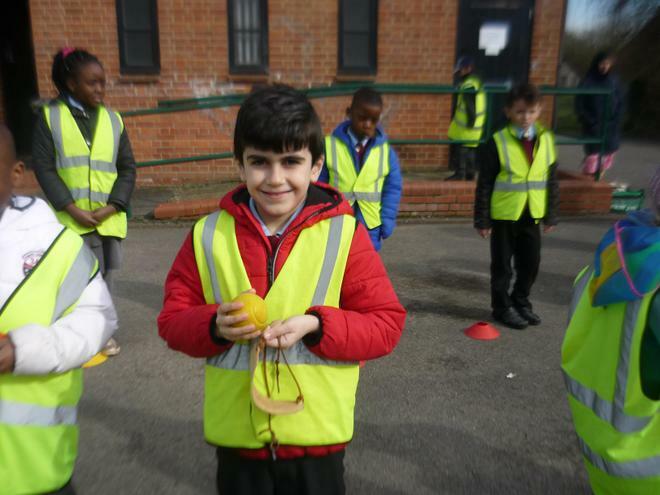 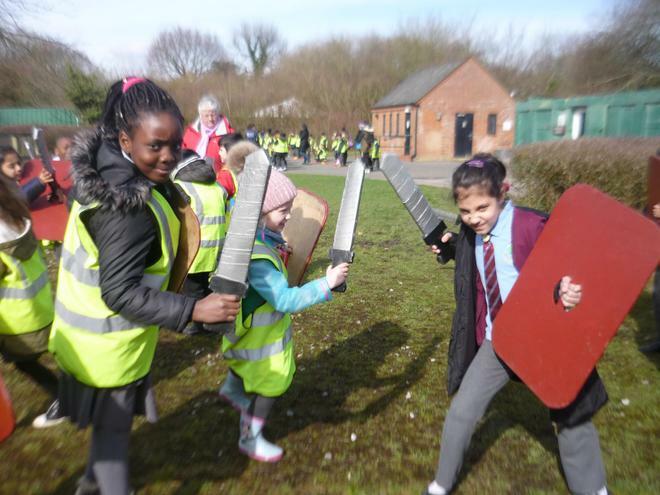 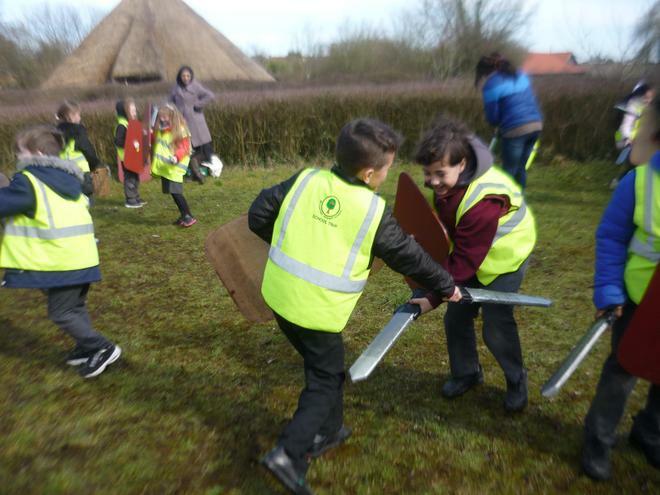 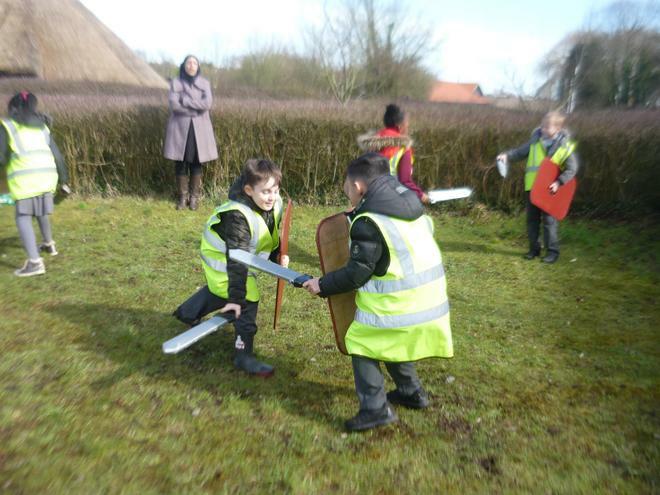 During the day we also got to pretend to have a battle with swords and shields and we also made clay pots. 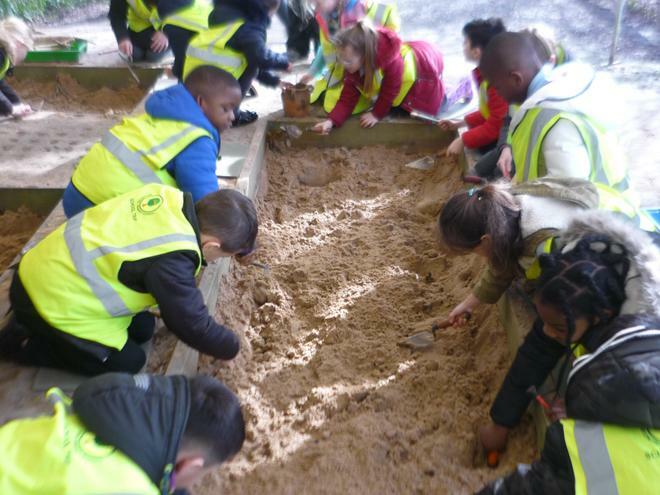 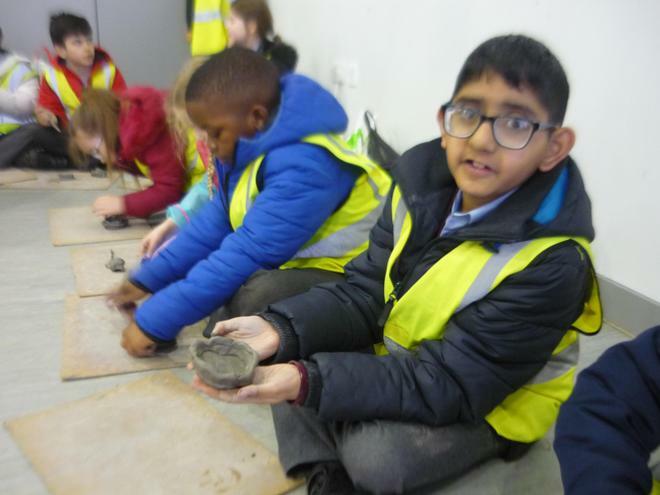 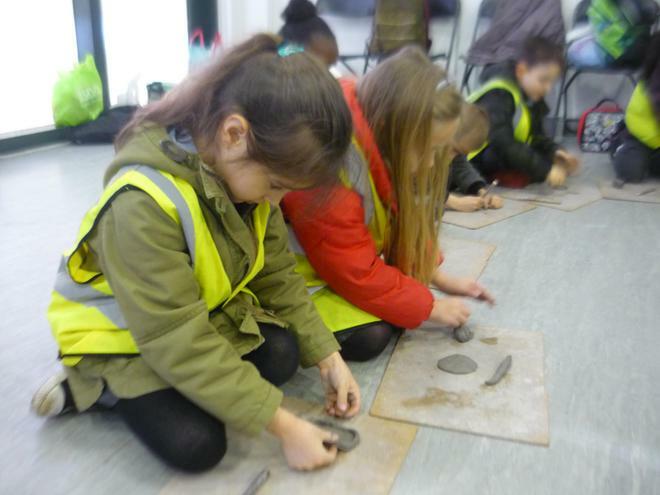 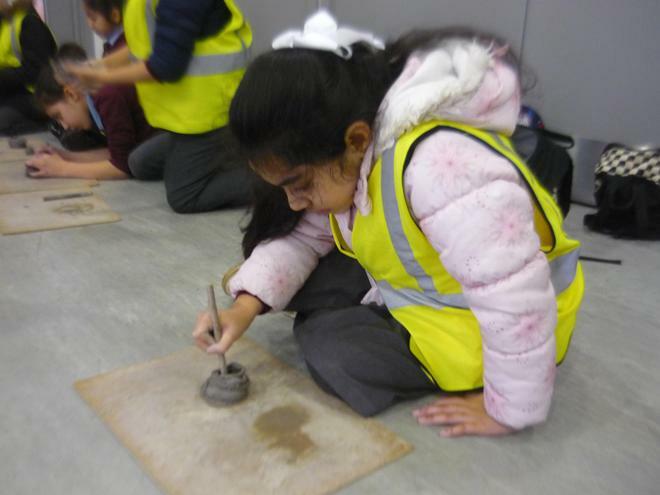 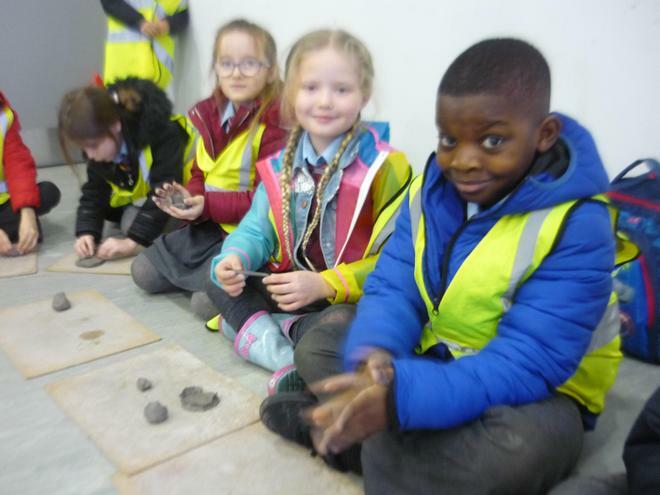 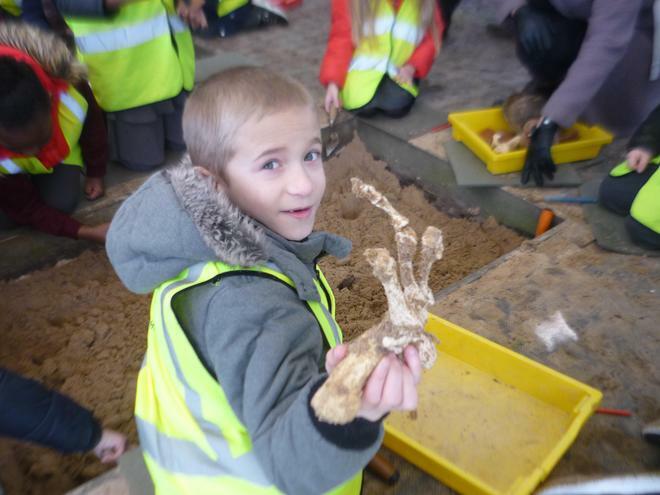 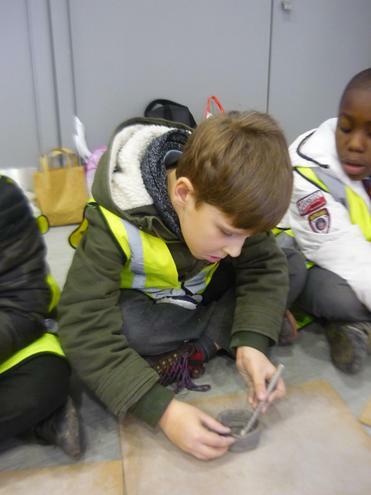 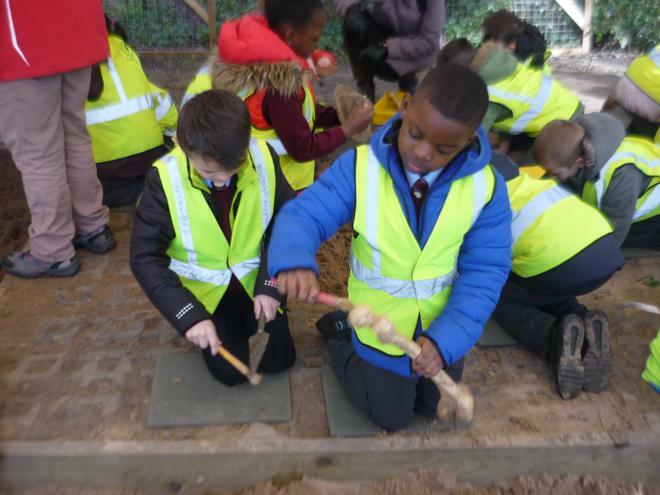 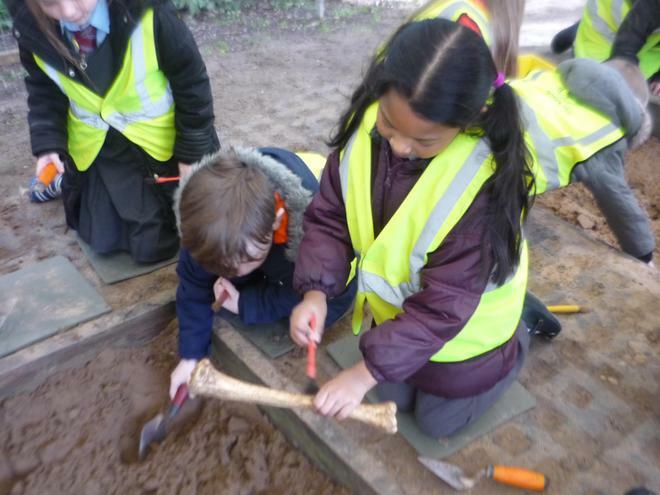 One of the most exciting things was going on an archaeological dig - look at out pictures to see what we found!